Custom editing system and hundreds of mobile apps for global travel destinations. A global travel book series meets a revolutionary ecosystem. 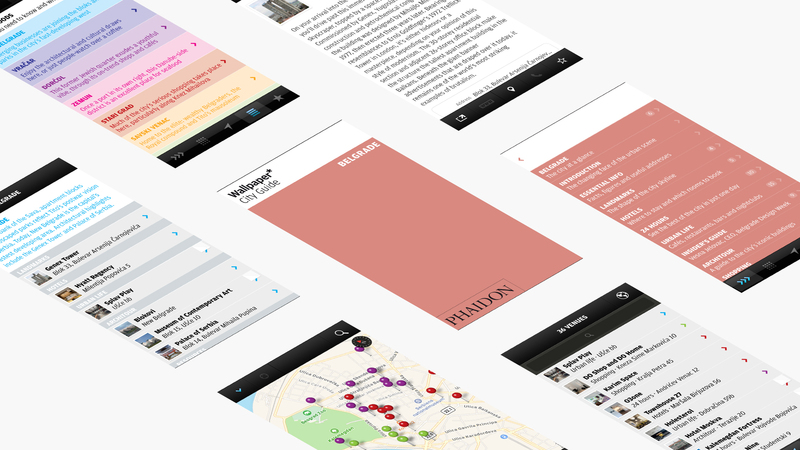 This is the story of how Phaidon requested Folkmatic to bring their Wallpaper* City Guides to the mobile platforms. 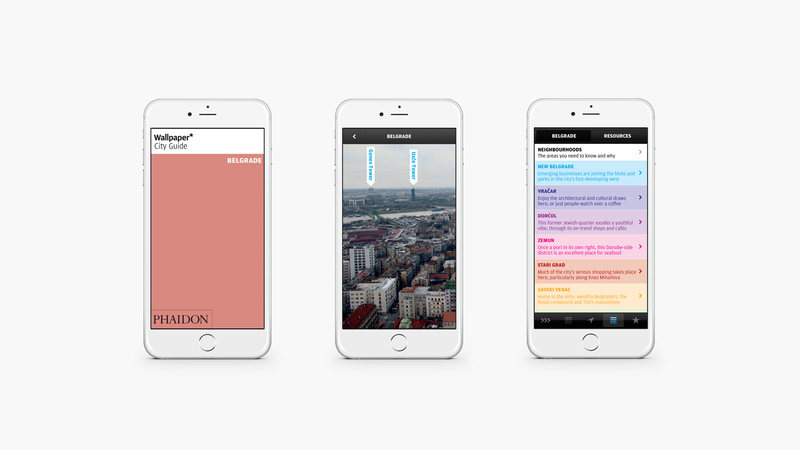 Phaidon Press, the world’s leading publisher of books on the visual arts, was looking for ways to push their Wallpaper* City Guides into new digital formats and had fallen for the outstanding usability of mobile. With titles covering 100 cities and dozens of distributed contributors, the CMS needed to support a wide variety of use cases. To engage a global audience of users with different handsets the solution needed native applications for four different app stores. Crystal clear layout, crisp design and dead simple style had to be translated from the lauded paperback edition, into a digital product. We took points of departure from the key content and information pages and strung together a flow that supports traveller itineraries going from location to location. Rich media experiences were optimised to make the most out of resolutions ranging from mobile to tablets. To support the workflow of a dynamic publication with contributions for editors and at location correspondents, a custom web back-end was crafted to link all published version, provide full security and backups and sync across four different mobile platforms. The app received praise from the critics, earning a spot on FWA and hundreds of thousands of downloads in the launch year secured placement as a leading travel app for iOS, Nokia and Windows Phone. 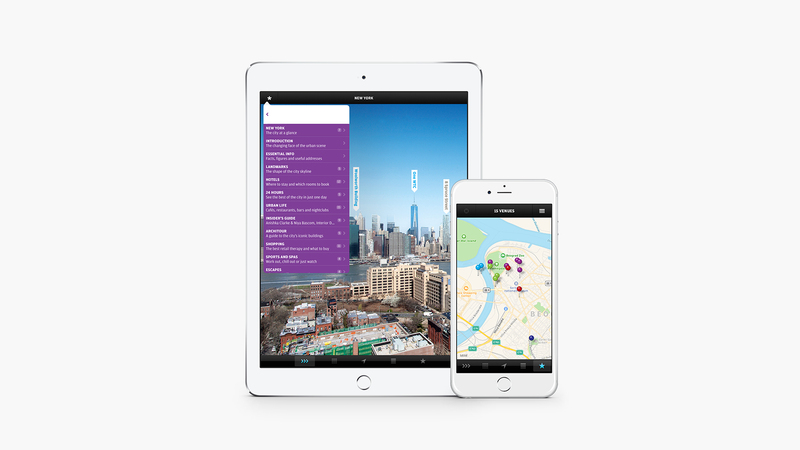 The workflow framework of the CMS and native applications has been deployed for other titles including Where Chef’s Eat and Phaidon Architecture Travel Guide.